Welcome to Friday! It has been one of the most exciting, exhausting and fabulous weeks for me since I started French Wedding Style over 2.5 years ago. As the working week draws to a close and my head is a little weary, today’s glamorous elopement to Paris captured by Catherine O’Hara photography is more than enough to pep me up! I really am a romantic at heart and today’s couple Kelleigh and Grant love story really is out of a romantic movie. We have all done it on planes, get out a book and resist making eye contact so you don’t get drawn into conversation for the whole flight. But for all you single ladies, this is a sure testament that as long as you scop out the cute guy as he boards, be sure to put that book down and say hi! Bride Kelleigh tell us of her and Grants’ love story and their journey down the aisle: “Our love story began on a flight to Denver, Colorado. As I got comfortable in the window seat with my book in hand, the guy in the aisle seat had another idea. After attempting to start a conversation a few times, I finally put my book away when Grant made me laugh. We proceeded to talk non-stop for the 3.5 hour flight. We exchanged business cards as we deplaned and wished one another safe travels. I was scheduled to fly home Saturday of that week and Grant was scheduled on the Friday flight. Were we ever going to see one another again? A few months later, after a few email exchanges, we went out on our first date. It was Valentines Day (no pressure) and we went to a comedy show. From our first date, we knew that we shared something special. As our friendship strengthened, our love began to grow…at hyper speed! About a year after our first date, Grant proposed at The Montage in Laguna Beach, California where we lived. This special evening was filled with tears, cartwheels in the sand and jumping on the bed. It was happening, we were going to marry our best friends. As we dreamt about how we wanted to celebrate our love, we listed our priorities. They were simple. We wanted our day to be intimate, full of love and an experience that we will never forget. 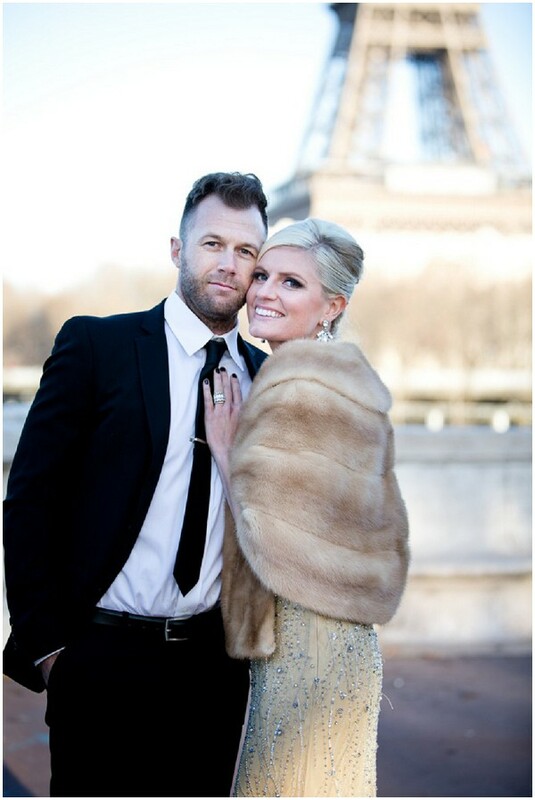 Never could we have imagined our dream would come true that we would get married in Paris. It was Jennifer Fox of Fete in France that gave us the wedding of our dreams. Every detail was taken care of and all of the best vendors were hired to make sure that our Parisian elopement went off without a hitch. From my hair and makeup artist Toni Lazzaro to our fabulous photographer Catherine O’Hara and our officiant Susie Kahlich, everyone captured the essence of who we are as a couple. On this special day, I wore a beaded gown that I was lucky enough to find at a second hand store in California. To keep me warm, my mother in law surprised me with her mothers fur. Everything came together seamlessly. After the intimate exchange of the vows we wrote for one another, we celebrated by dancing our way through Paris, while Catherine captured moments in time that we will never forget. From our first dance at The Louvre to telling jokes under the Eiffel Tower, it was indeed a magical day! We spent 7 days exploring France and 2.5 weeks traveling throughout Italy. Our time together was just ours, we got to focus on one another. We are both so grateful to our family and friends that helped to make this a trip of a lifetime happen. To anyone considering eloping in Paris – DO IT!! You will not regret it! The end, roll credits, and I give this real life wedding love story at 10 out of 10! 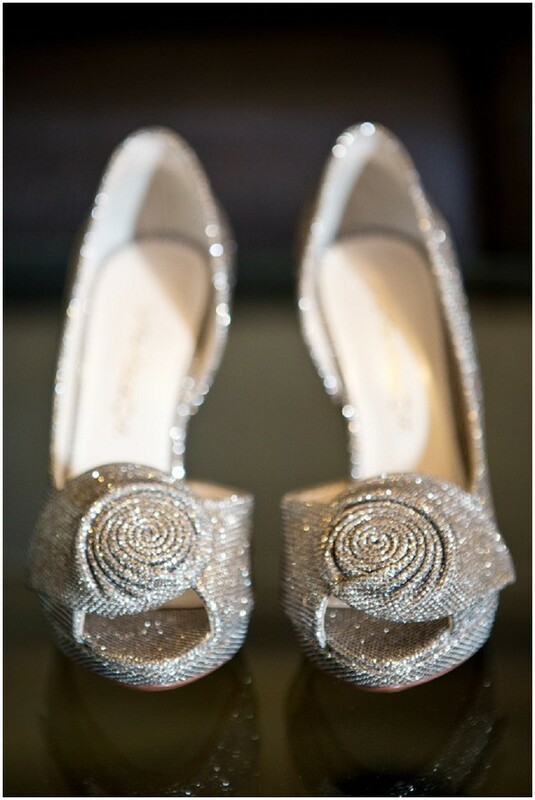 Where did you get your georgeous shoes?